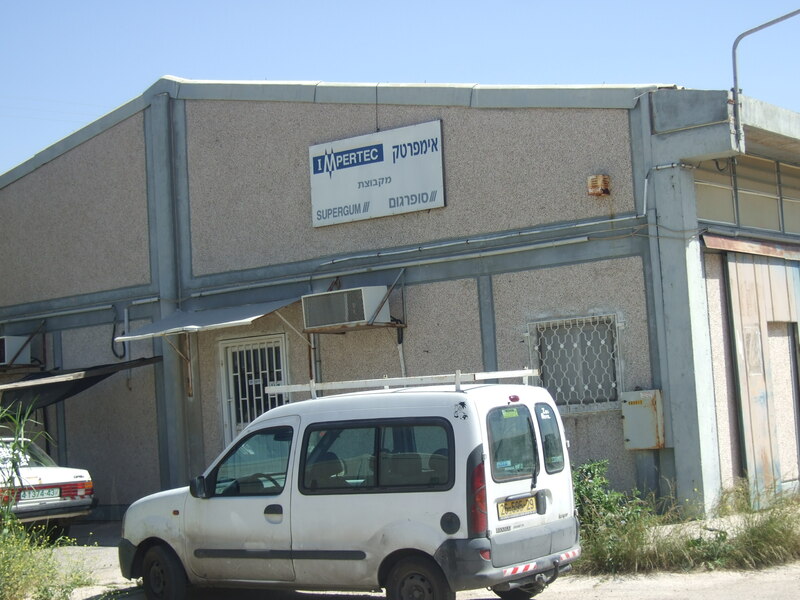 Corporate Watch visited the Ma’ale Efraim industrial zone during May 2010. Ma’ale Efraim is the only industrial zone in the Jordan Valley, situated on the road to Nablus. The industrial area is attached to the settlement of Ma’ale Efraim, an illegal settlement home to 1641 colonisers. 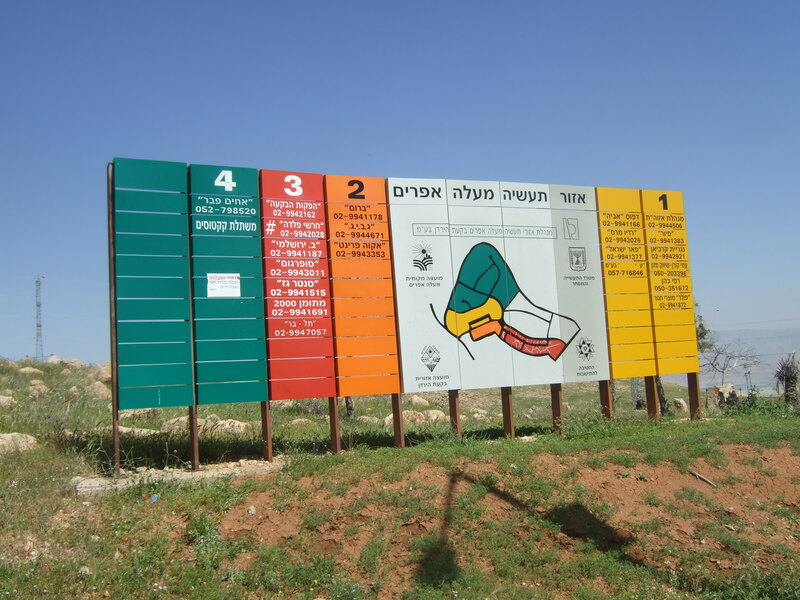 Ma’ale Efraim was established as a military settlement in 1978 on land seized by military order. The settlement was civilianized in 1979 and further land was seized as ‘state’ land. To the West of the settlement is an IDF military base. 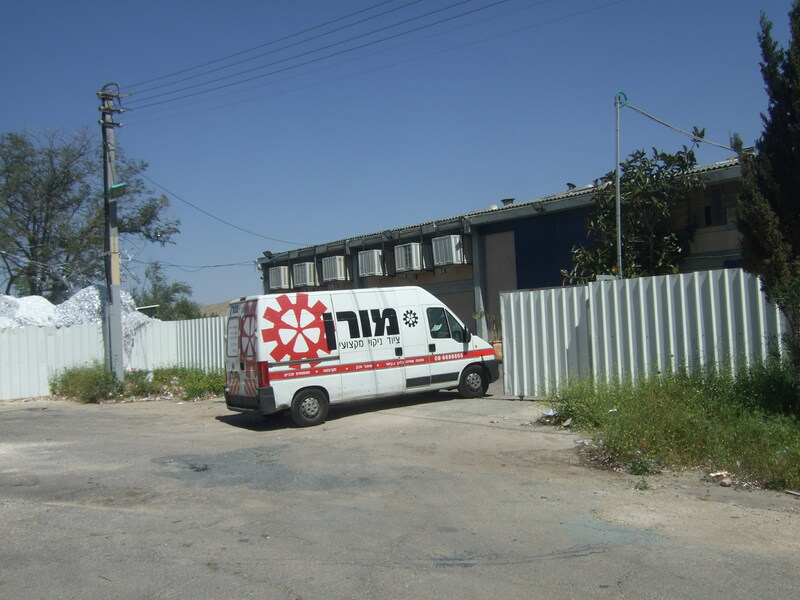 Ma’ale Efraim industrial zone is largely dormant, a holding exercise to monopolise the land. Many of the factory buildings are empty. However a few Palestinian workers were working in the warehouses.